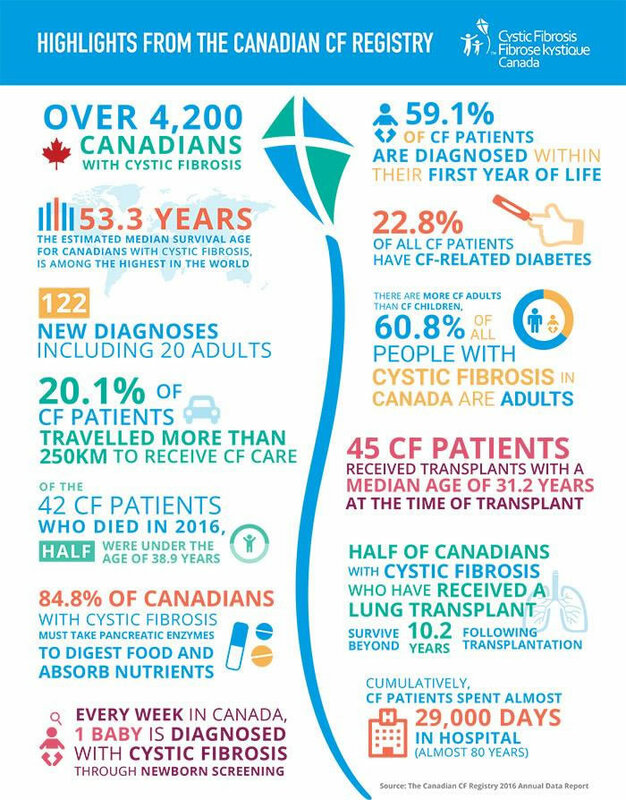 Cystic Fibrosis (CF) is the most common inherited fatal disease in North America today. A progressive, multi-organ disease, it affects primarily the lungs and digestive systems. Thick mucous forms in the lungs making it difficult to breathe and causing repeated infection. At the same time, pancreatic insufficiency, cause by the mucous isolating the pancreas, results in difficulties with absorbing nutrients required for normal growth and wellness. All money raised at Hoops for Hope is directed to Cystic Fibrosis Canada, a world leader in cutting-edge research for better patient care with the ultimate goal of finding a cure or control for CF. In the last 50 years, median life-expetancy has gone from the age of 4 to the early 50s. People with CF are living longer, more active lives than ever before. However, the disease still takes the lives of many individuals prematurely. Please give generously so that one day soon CF will stand for Cure Found.